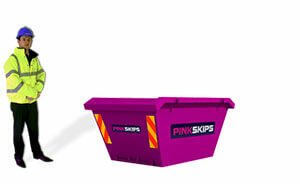 Our 3 yard mini skip will hold approx 15-20 black bin bags of waste. Any waste may be disposed of in this skip apart from the exclusions listed. All skips must be level loaded. Our 4 yard midi skip will hold approx 30-40 black bin bags of waste. Any waste may be disposed of in this skip apart from the exclusions listed. All skips must be level loaded. 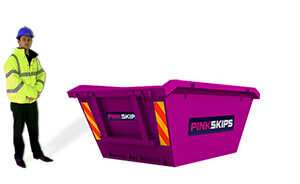 Our 6 yard household skip will hold approx 50-60 black bin bags of waste. Any waste may be disposed of in this skip apart from the exclusions listed. All skips must be level loaded. Our 8 yard builders skip will hold approx 60-80 black bin bags of waste. Any waste may be disposed of in this skip apart from the exclusions listed. All skips must be level loaded. 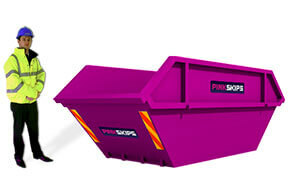 Our 12 yard large skip will hold approx 100-120 black bin bags of waste. No earth permitted. Any waste may be disposed of in this skip apart from the exclusions listed. All skips must be level loaded.